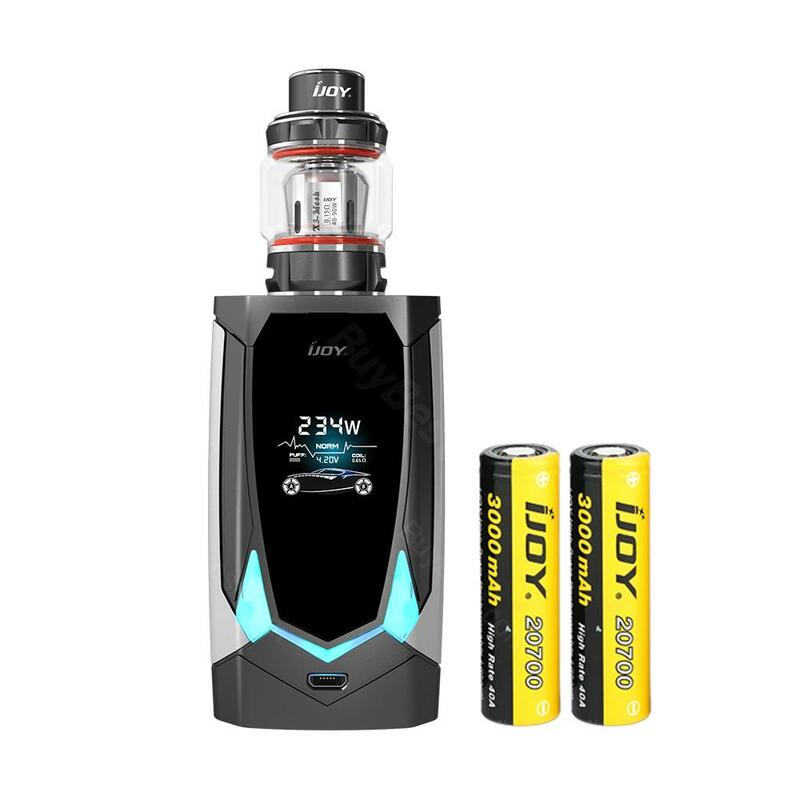 The Avenger PD270 box mod and Avenger subohm tank consist of the IJOY Avenger 270 starter kit. The Avenger PD270 MOD is the first mod who has voice control function and along with the Avenger subohm tank which works with the innovative premade MESH coils, this Avenger PD270 will definitely offer you the best vaping experience ever. This kit comes with 2 pieces 20070 batteries. The Avenger PD270 box mod and Avenger subohm tank consist of the IJOY Avenger 270 starter kit. The Avenger PD270 MOD is the first Mod who has voice control function, which allows you to adjust wattage and lock or unlock the device with your own voice, without touching the device. Also, the Avenger MOD is firmware upgradeable, which enables you to explore new vaping experience with this box mod. About the Avenger tank, we must mention about its compatible coils, which are 3-Mesh coil and 3-C1S coil. With these 2 innovative premade MESH coils, the Avenger subohm tank will definitely work well with the Avenger PD270 mod and offers you the best hand-free vaping experience. This Kit comes with 2 pieces 20070 batteries. • 3 months warranty for the Avenger 270 Kit. The experts at iJoy have outdone themselves with this futuristic new iJoy Avenger vaporizer. See more IJOY Avenger 270 starter kit review.